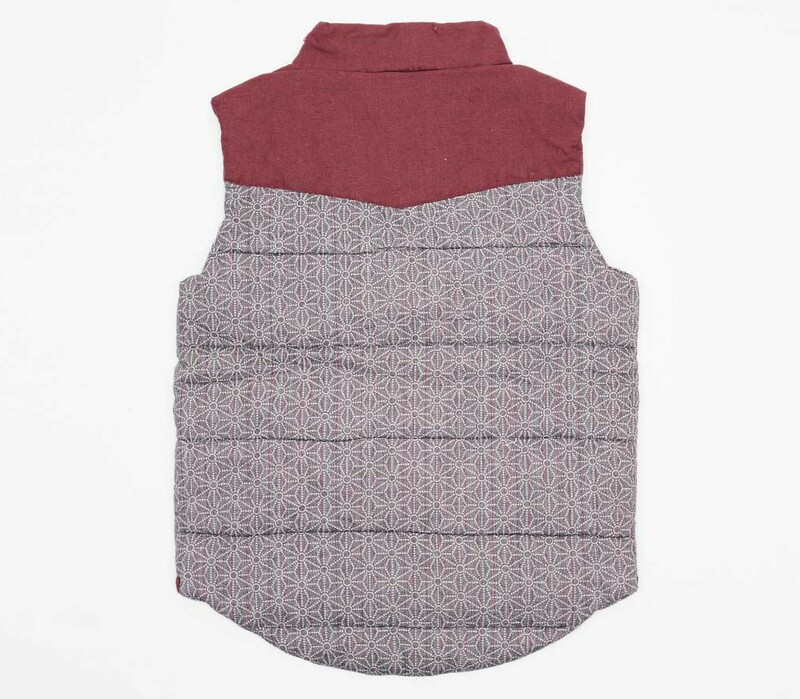 Dunno about you, but I like the idea of wearing a garment that looks like The Thing mid-assimilation. Bits hanging off, bits mismatching, faces sticking out screaming for their mum. Not so much the last one admittedly. 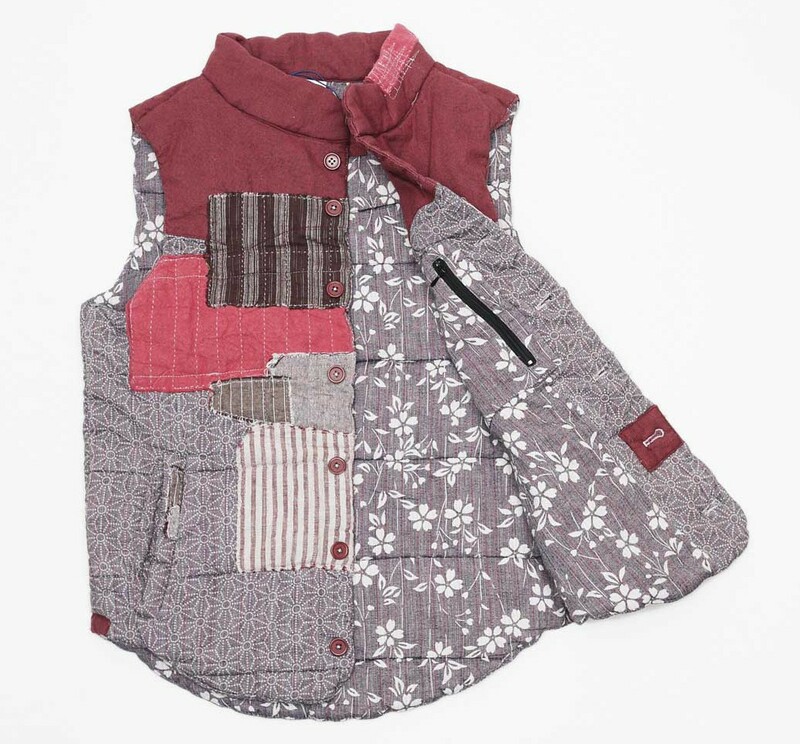 But this gilet isn’t far off a fabric rendition of Carpenter’s incongruous aberration. Look upon it. Bits where bits shouldn’t be. Misshapen, misaligned – it’s a textile miscarriage. But that’s the point. 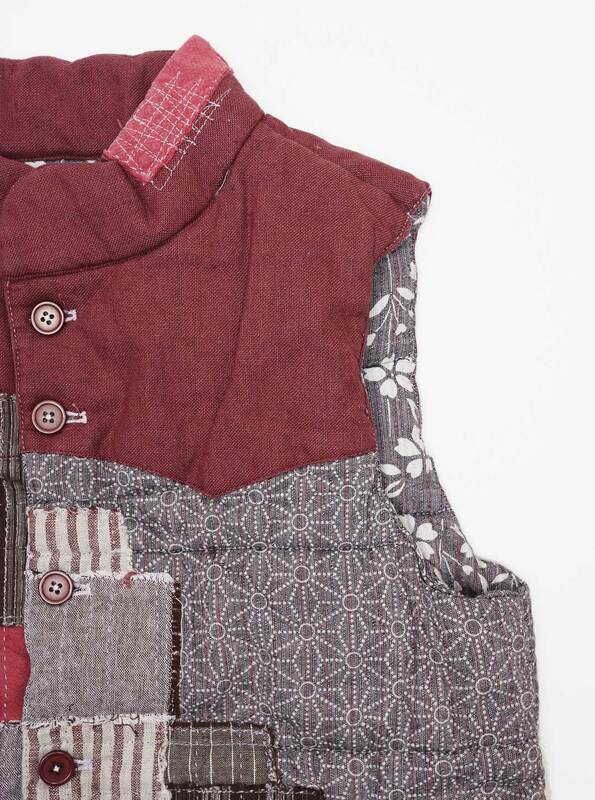 It’s an example of Japanese Boro, a fabric art whose name translates as tattered or ragged. The craft dates back to the 17th century and it’s all about making clothes from remnants – bits of old clothes, drapes, table clothes, anything. 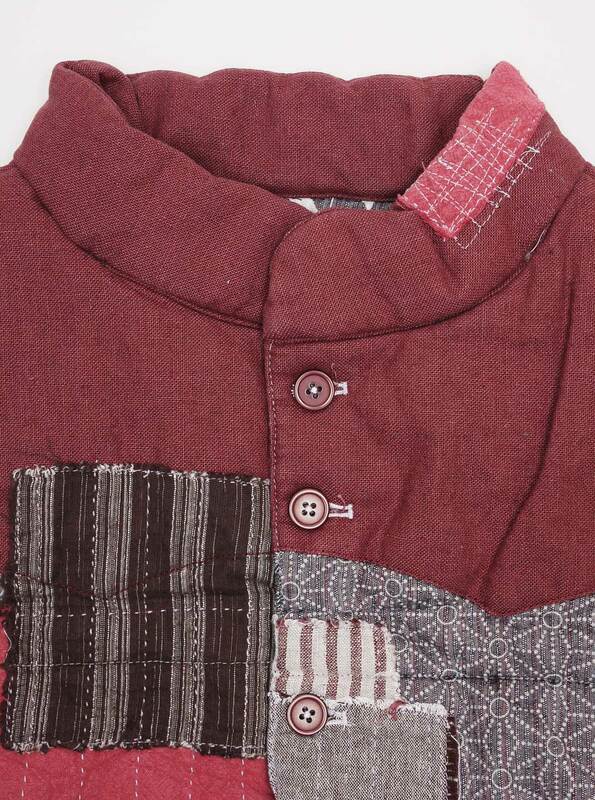 The idea was that the clothes were handed down, re-engineered and re-used from generation to generation. Mostly you see it fully indigo dyed, but this version has gone for the colour palette of inside-out dogs. It’s from Creep, another ‘American workwear through a Japanese blender’ brand – but one I’ve had my eye of for a while. The price points come in a little lower than other similar brands and Present, in London’s fashionable London, has been stocking it for a few seasons now. 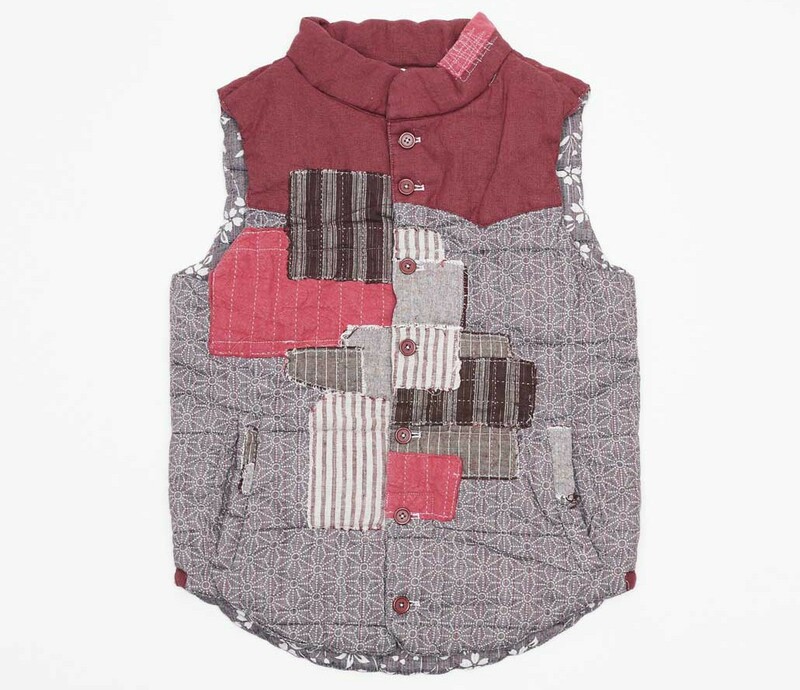 At £185 for a gilet reminiscent of spaceguts, it’s not exactly cheap. But it’s ideal if, like me, you enjoy spending your evenings kneeling in snow, surrounded by red flares screaming, “it’s Bennings“.